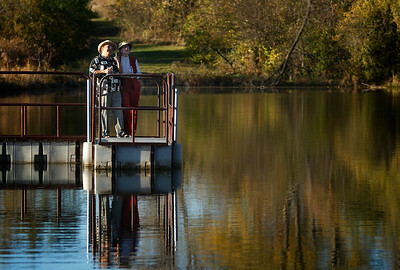 Matthew Apgar - mapgar@shawmedia.com Friends Martin Barcelo, left, and Dorothy Smith, both of Crystal Lake, enjoy the autumn scenery on an abnormally warm Tuesday, Nov. 3, 2015 at Barbara Key Park in Lake In The Hills. 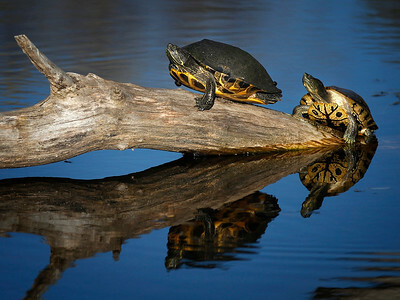 Matthew Apgar - mapgar@shawmedia.com A pair of turtles bask in the sun atop a log at Barbara Key Park on Tuesday, Nov. 3, 2015 in Lake In The Hills. 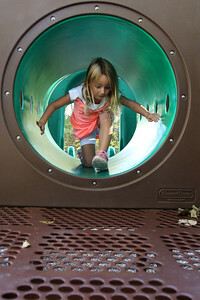 Matthew Apgar - mapgar@shawmedia.com Alex Zaucha of Algonquin, 4, plays on the playground on Tuesday, Nov. 3, 2015 at Barbara B. Key Park in Lake In The Hills. 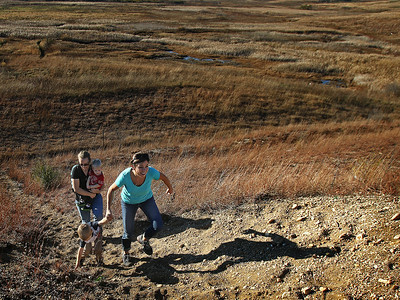 Matthew Apgar - mapgar@shawmedia.com Jessica Zaucha, front, holds onto Cooper Delp, 4, as Jenn Delp, back, carries Callen Delp, 1, all of Algonquin, up a steep hill to an overlook at Barbara Key Park on Tuesday, Nov. 3, 2015 in Lake In The Hills. A pair of turtles bask in the sun atop a log at Barbara Key Park on Tuesday, Nov. 3, 2015 in Lake In The Hills.